This week I saw Guardians of the galaxy vol 2, which is the highly anticipated sequel to the Guardians of the Galaxy. All the same characters are back with a few new surprises, as the guardians find out Peter Quills parentage and what family really means. If you haven't seen the original Guardians of the galaxy, I would highly recommend. I reviewed it here and put it in my 2014 favourites, and I would class the original as one of my favourite films of all time. I absolutely loved it and the more I watch it the better it becomes. You really need to see this before seeing the sequel as the jokes make more sense, the style and the story makes more sense because it's more about Peter's history. While I still really enjoyed the second, my main down point was the music, which is a huge part of the film with Peter's love of music, but I just feel like I only knew about 3 songs in the film and considering this was meant to be the 80's music I feel like they could have really gone all out but they didn't. The main standout was Drax though and Dave Bautista who plays him. He is one of the best things in the movie, if not the best. From the amazing costume/make up but for general brilliance in the movie. He's an absolute joy on screen and provides most of the jokes. For me, Bradley Cooper as Rocket still is the best thing about the movie and I definitely warmed up to this the more I watch the first. His voice suits it perfectly and with the whole gang, it really does feel like a little family. 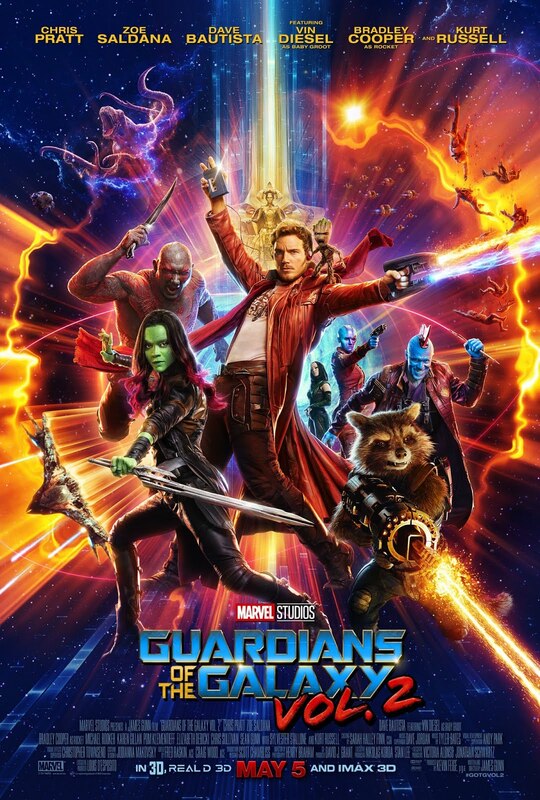 If you are into marvel movies and have seen the first Guardians of the galaxy, I would highly recommend. You know what you are going in for, and it does not disappoint. Have you seen Guardians of the Galaxy Vol. 2? What did you think?